The simplest way to be able to access apps blocked in China is without a doubt using a VPN. Click here to see the VPNs that we recommend for China! Keep on reading if you don’t know what a VPN is or what they are used for. 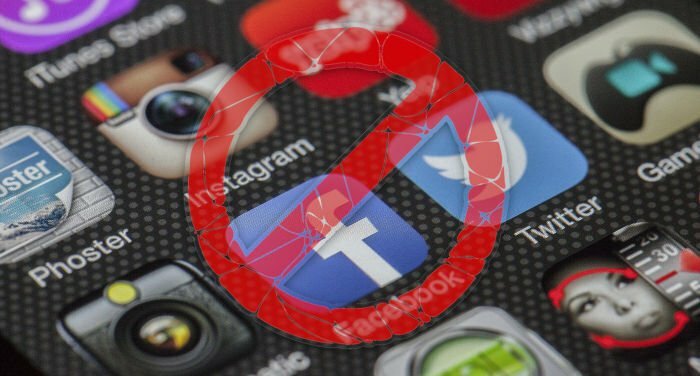 Which apps are blocked in China? What is a VPN and what is it used for? While there currently exist several systems for getting around the Great Firewall of China, using a VPN continues to be the easiest and most effective system to be able to access the Internet without restrictions. But what is a VPN? A VPN is a system that hides your IP address (your digital identifier) and encrypts your connection. Basically, the VPN redirects your Internet connection through a server located in another place. The connection between your device and the server is encrypted as it passes through them. In other words, nobody will know what you are doing online or where you are really connecting from (your IP address will be that of the server that you are connecting to and not your real IP address). This is very effective for getting around Chinese restrictions, and also will allow you to access geographically restricted content (such as videos that are only available in a certain country). We have been testing VPNs in China for years, and for the moment, the VPN that we recommend is ExpressVPN for the majority of users. It’s a VPN that’s very easy to use and has proven to be one of the most reliable recently. However, if you want to see all of the VPNs that we recommend for China, you can read this article, which we update monthly, on the best VPNs for China. While many people think that the opposite is true, connecting to the Internet is really easy in China. In Chinese cities, there are a variety of places that offer free Wi-Fi for their customers, such as restaurants, cafés, bars, hotels and airports, among other places. If you want to always be connected, getting a SIM card with access to the Internet is relatively easy. All you have to do is take your passport to an authorized store of one of the country’s main telephone operators (China Mobile, China Unicom or China Telecom). Unless you need a large number of megabytes of data, for approximately 200 Yuan, you can buy the SIM card, access to the Internet for one month and a bit of credit for calls. in China, Google Play doesn’t work, and the Apple Store has eliminated thousands of “illegal” apps. To download apps, the easiest thing to do is to activate a VPN and use Google Play or the App Store without restrictions. However, if you don’t have a VPN active, you can still download the apps that you want. If the app that you want to download isn’t one of the apps banned in China, you can choose a Chinese app market to download it. Currently, the most popular app markets in China are Tencent MyApp, 360 Mobile Assistant and Baidu Mobile Assistant. Many apps allow you to download the .apk file directly from their official website (as long as the website isn’t blocked as well). WeChat: If you live in China, you’re making life difficult for yourself if you don’t have WeChat. WeChat is an app of all apps that is omnipresent in China. It’s a messaging app similar to WhatsApp, a social network similar to Facebook, a payment system and a blogging platform, among many other things. If you want to learn more about WeChat, you can read our complete guide to it. Baidu: Baidu is China’s main search engine, and just like Google, it has a maps app and many other services, such as listening to music and watching videos. Weibo: This is the most famous microblogging platform in China, and is halfway between Facebook and Twitter. However, since the appearance of WeChat, its popularity has decreased significantly. Alipay: This is the company Alibaba’s secure payment platform, which is similar to PayPal, but which can also be used to pay in businesses. You can read our complete guide to it by clicking here. Taobao: This is the most popular online sales platform in China, and is more complete than Amazon. Taobao belongs to the e-commerce giant Alibaba (the owner of Aliexpress). You can read more about Taobao in our complete guide. QQ: This used to be the most popular instant messaging platform in China, and is very similar to Skype. Even though it has lost a lot of users since the arrival of WeChat, it continues to be one of the most used apps. Youku and Tencent Video: These are two of video platforms that are most used on mobile devices. You can find everything on them, from films to national and international series as well as shorts shared by users. It’s basically like YouTube but with less copyright restrictions. Kugou: This is the most popular app for downloading music to your mobile device. The big advantage of Kugou over Baidu Music is that it allows downloads even outside of Mainland China. Momo: Many people call this Tinder’s “beefed up” sibling. Momo is one of the most popular meetup apps, and has a ton of extra options to improve interactions. However, it can be a bit confusing for newbies.